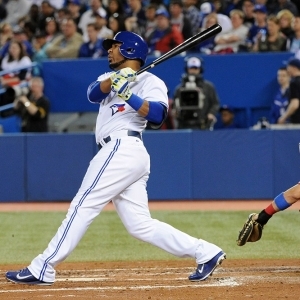 The Chicago White Sox head to Rogers Centre on Wednesday to take on the Toronto Blue Jays. The probable starters are Jeff Samardzija for the White Sox and Marco Estrada for the Blue Jays. The opening line has Chicago at -102 and Toronto at -108. The over/under for this matchup is 9. So far this season Chicago is 16-25 against the over/under while the Blue Jays are 23-22. The White Sox show up with a 19-23 record, including 7-13 on the road. Jeff Samardzija has an earned run average of 4.28 and is 4-2 so far on the campaign. He's surrendered 64 hits in 61 innings pitched. Chicago is averaging 4.1 runs when he starts. They currently rank 19th in the league in team batting average with a .246 mark. The White Sox on base percentage sits at .301, which puts them at 25th in the league. Avisail Garcia leads the club with a .365 OBP. Toronto has a 13-11 home record, and are 21-26 overall. Marco Estrada is currently 1-3 with an earned run average of 3.90. He's thrown 32.1 innings thus far and given up 26 hits. The Blue Jays are averaging 3.2 runs during his starts this year. They are 27th in the league in team ERA at 4.51 and at 8.53, they rank 14th in the league in hits allowed per 9 innings. Toronto is batting .256 as a team while holding a team OBP of .327, good for 7th in the league.